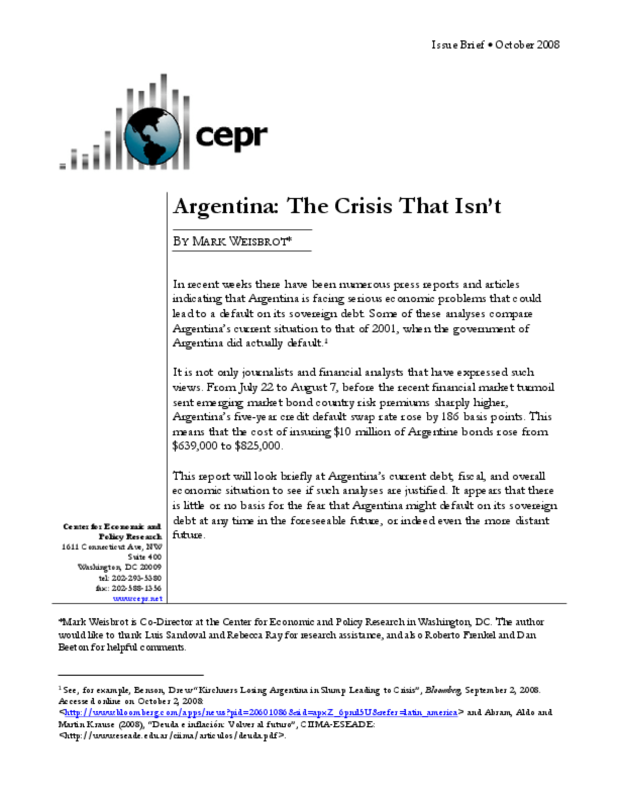 This report looks at Argentina's current debt, fiscal, and overall economic situation to see if there is justification for concerns that Argentina is facing serious economic problems that could lead to a default on its sovereign debt. The Argentine economy has grown more than 60 percent since its recovery began six years ago, has trade and current account surpluses, and has declining levels of debt relative to GDP and other indicators. It also has a large amount of reserves relative to potential debt financing shortfalls. The paper finds that there is little or no basis for the fear that Argentina might default on its sovereign debt at any time in the foreseeable future, or indeed even the more distant future.